I’ve been introduced to a new Android game. 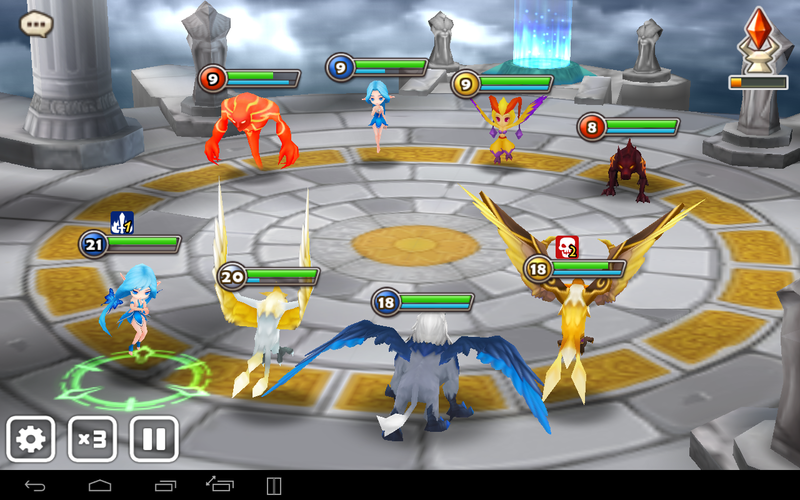 Summoner’s War. It’s a free-to-play game, with optional IAP. Freemium, I guess. You are a summoner and you take monsters into battle, following a storyline, with rare monsters available if you hunt for them. It’s a generally good time-waster. Yes, you can pay money for speeding up the levelling, but you don’t have to, and there’s little push for it. You can have many monsters on your team, and include some from your friends. There is also an Arena (this is the core of the game) where you can battle other players in PvP – but the players are not “live”. The players setup a defending team and when you battle them, that is the team that you face. I’ve also just discovered the dungeons feature, where you can search for parts to Awaken monsters, where you upgrade your monster, causing it to change appearance and name, and gain better stats and a new skill. Another feature is Evolving monsters, where you increase your monster’s number of stars, resetting them to level 1 and return them to base stats, but their base stats are more powerful that the previous star level. I haven’t evolved any of my characters yet, although I do now have one eligible for it (my Vagabond, at L15) – not in any of these pictures. 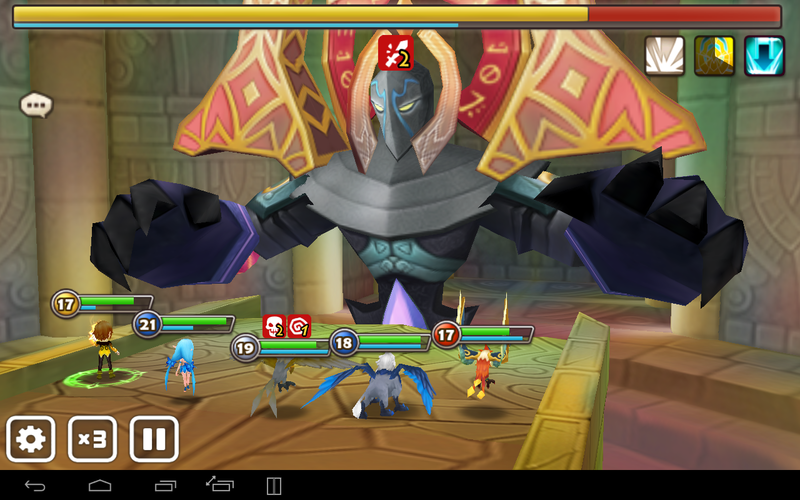 Evolution requires several monsters of the same star level to be sacrified. So, for example, my Vagabond is 2 stars, so I need 2x 2 star monsters. A three star monster need 3x 3 star monsters instead.